Update 1: Can’t find this in the App Store? Search for “google-translate” and it will appear. Thanks to Tired8281 in the comments! Other Google apps available include Google Mobile (with Google Goggles support), Google Latitude, Google Shopper (not in Canada of course), Google Places, and Google Earth. This is typical of Google, releasing a tonne of services, all the time. Why not release just ONE Google app that has them all? I’m still waiting for a native Gmail app. One day! 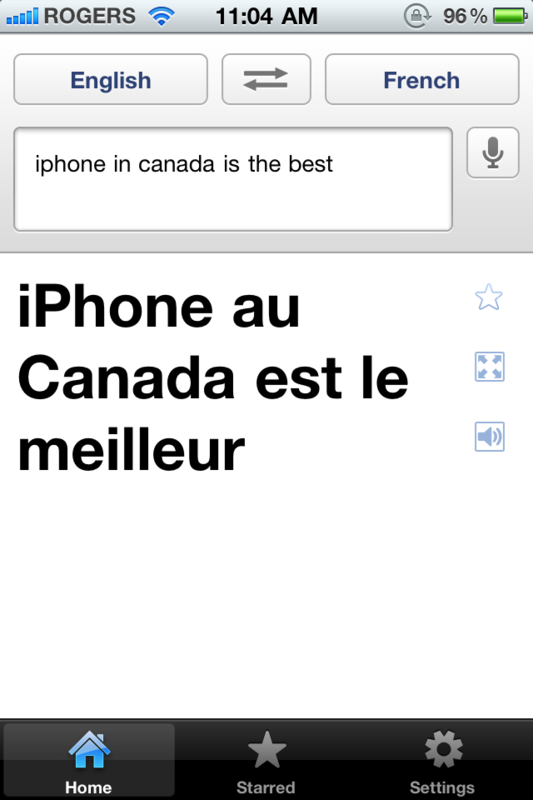 Back to Google Translate though–it’s awesome. 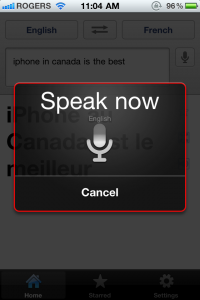 You can speak right into the app and it’ll translate in real time. You can even access your history offline and there’s a nice full screen option too. Imagine traveling and using this app, it’d be a lifesaver (as long as you had data or free wifi). I’m having lots of fun with this, thanks Google. 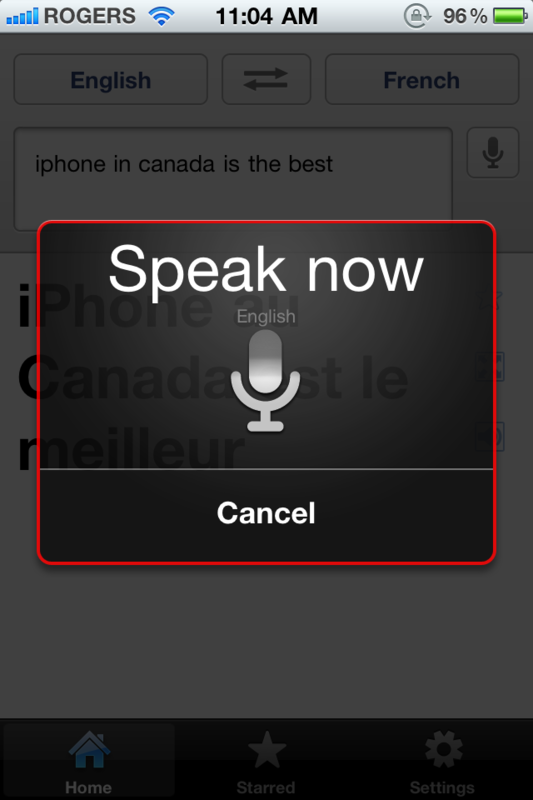 Google Translate is free–click here to download.